'Tis but thy name that is my enemy; Thou art thyself, though not a Montague. What's Montague? it is nor hand, nor foot, Nor arm, nor face, nor any other part Belonging to a man. O, be some other name! What's in a name? that which we call a rose By any other name would smell as sweet; So Romeo would, were he not Romeo call'd, Retain that dear perfection which he owes Without that title. Romeo, doff thy name, And for that name which is no part of thee Take all myself. I want to reveal a perception that has consistently garnered my attention: I am finding that the term 3D is a rapidly shifting target. It means many things to many people these days. When someone speaks about ‘3D’, they may be referring to immersive rendered 3D solutions; or they may have in mind the amazing 3D room in the Pena Palace in Sintra, Portugal (see previous post); or they may be referencing stereoscopic or autostereoscopic 3D visualization products; they could be excitedly pushing the hottest virtual reality experiences; and they could even be describing augmented or mixed reality offerings. And I haven’t even mentioned 3D printing. In many cases, the actual term ‘3D’ may not be used, as it seems to convey “bad mojo” to some folks. Within the behind-the-scenes platform for the 2015 Horizon Report (I served as a panel expert), organizers mystifyingly separated 3D technologies into four different categories. First, they saw most 3D as consumer technology and not an educational technology; they also mentioned 3D under data visualization technologies, under a virtual reality, and under a mixed reality. You can see why 3D didn’t make the cut if they don’t quite agree on what it is! Many articles or press releases I read about virtual reality or mixed reality products are using stereo and/or rendered 3D, but these articles often steer clear of the “3D” moniker. 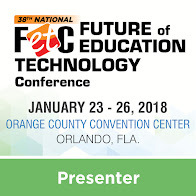 Manufacturers, committees, and school technologists are constantly mixing up these technologies in their minds and lexicon. Portugal is an amazingly beautiful and friendly country. It also has a sophisticated 3D industry underway. But on a recent trip I found a few fun things in the 3D realm, during my outgoings from Lisboa. 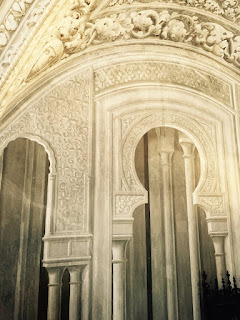 If you get a chance, try to visit the amazing 3D room in the Pena Palace in Sintra, Portugal. 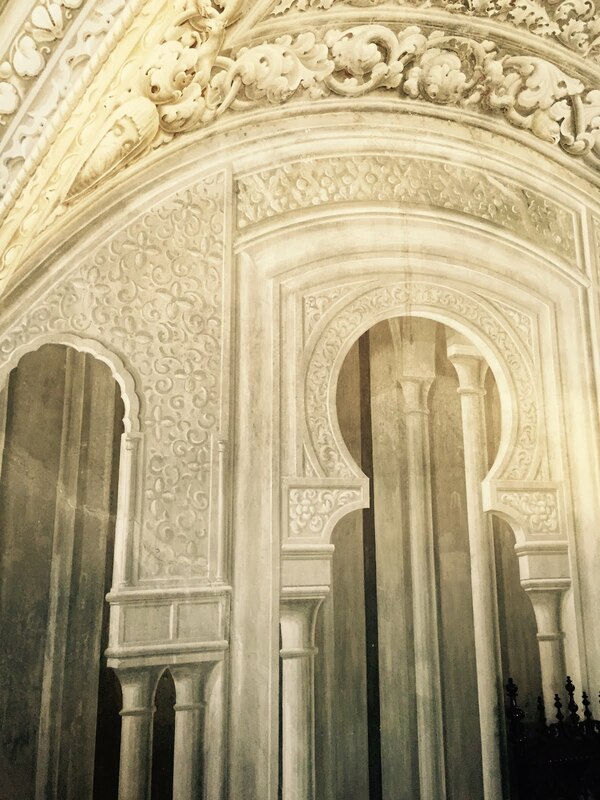 The palace features an entire room that looks like it has depth, but it was painted on! “Cada pedaço de 3D's leva-te a uma dimensão desconhecida: Vais desfrutar três vezes mais!" 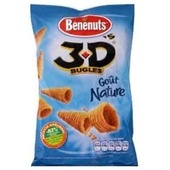 And now, apparently, 3D now applies to new dimensions of taste! A New Book on 3D. Miriam Ross, one of the brightest people I have met online, has released a new book that translates well for 3D enthusiasts and can benefit educators as well. It is entitled 3D Cinema: Optical Illusions and Tactile Experiences. According to Dr. Ross, the book is a bit different from many of the books that have already been published on 3D based because it is rooted in Humanities theoretical analysis. See these preview pages. A Useful 3D Knowledge Collector. David Briggs, the co-founder of the Neo3do autostereoscopic 3D tablet, purchased and now runs operates an informative website on all things 3D, 3D Focus. 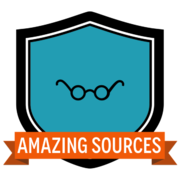 It’s a good place for educators to learn what’s happening in the broader 3D world. 3D Design Contest in the Planning. The huge Texas Computer Education Association (TCEA) is moving forward on a 3D design contest for students to be held in 2016. 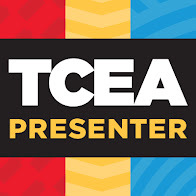 The contest will have students design a solution to a given problem using 3D drawing software such as SketchUp Pro, which is provided free to TCEA members. For details contact info and details, see this link: SketchUp Pro. VREP Showcase Feted. The Annual Iowa VREP Showcase is scheduled to be held on April 14, 2016 in Des Moines, Iowa. This event focuses on 3D animation, video and printing contests, with scholarships at stake. A 3D scanning component is now being added. New L.A. VR and Immersive Technology Meetups . A recurring series of meetups for 3D VR and immersive technology enthusiasts are underway by none other than the Creative Technology Center’s founder (and Iggy Pop rock star), Michael Page. 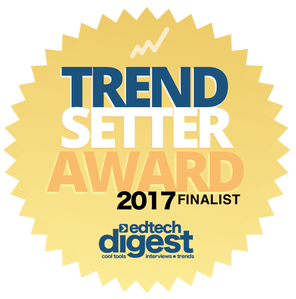 I mention this here because I have met a large number of these folks, and they are deeply interested and committed to 3D in education. It’s a good group to get to know, if you find yourself in Hollywood. The meetups occur twice a month. See the signup site here.